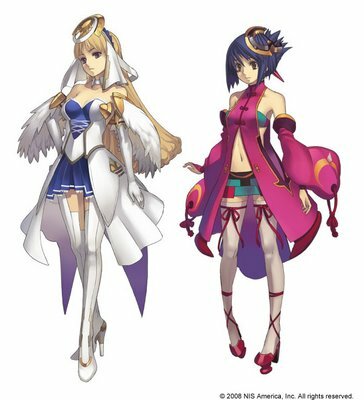 Ar Tonelico 2 has been eating up much of my time as of late. Here's a picture of Luca and Cloche (Chroche) from the game. I'm most likely going to create a whole section devoted to this game. Once you start playing this game..you might as well not come out of your gaming cave for at least a month. This game is an anime fan's dream ^^. Anyways, more posts to come....sorry about the gap in blog posts ^^;;.